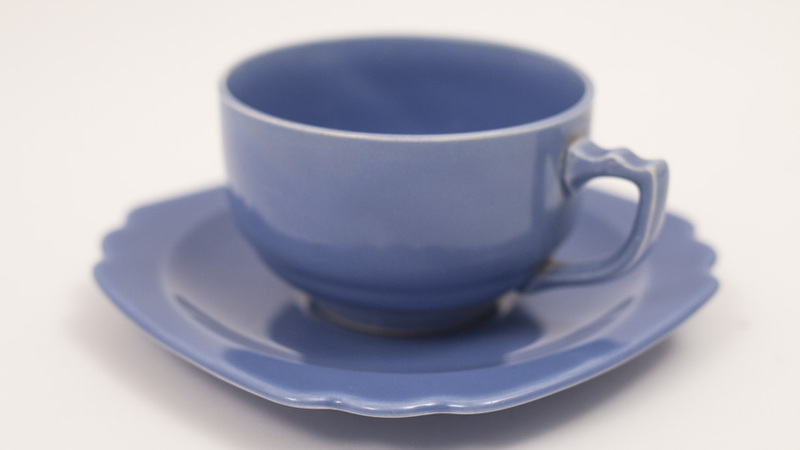 Circa 1936-1944: Along with the plate, no tableware line is complete without its cup and saucer set, and the Riviera glazes on the century line do not disappoint. 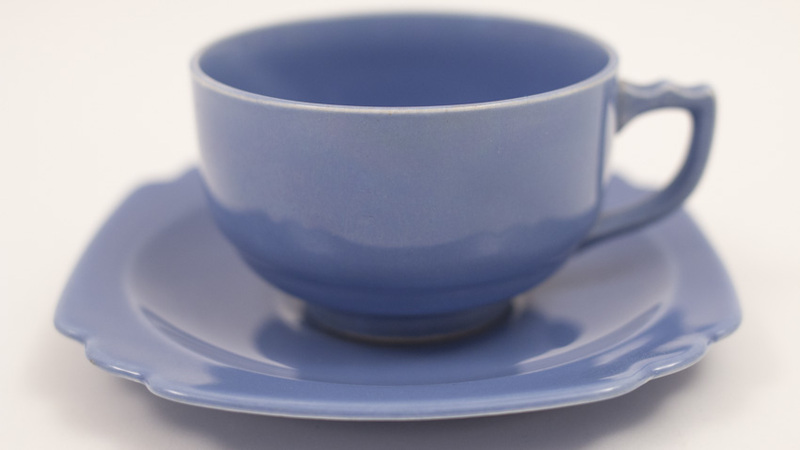 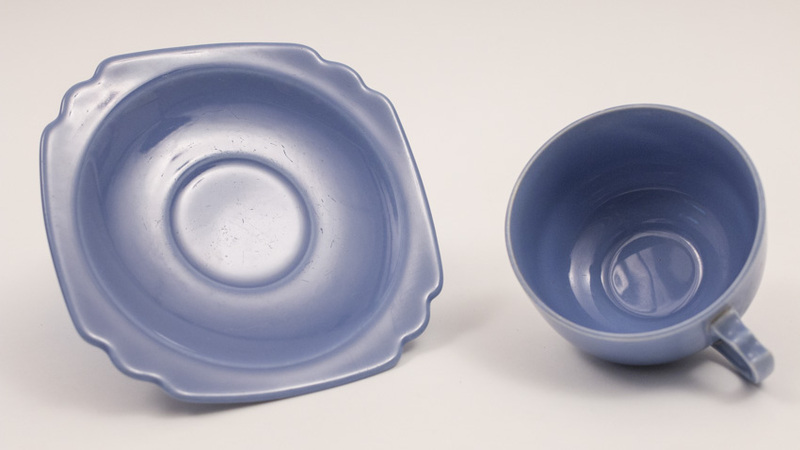 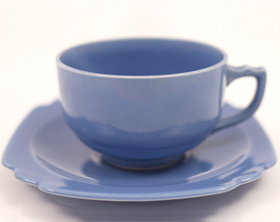 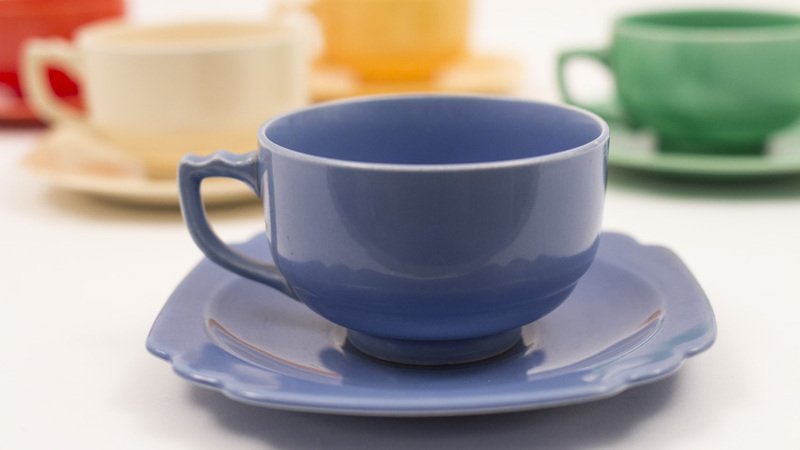 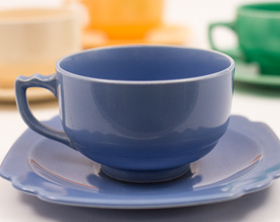 The saucer design is simple with the scalloped edges on all four corners. 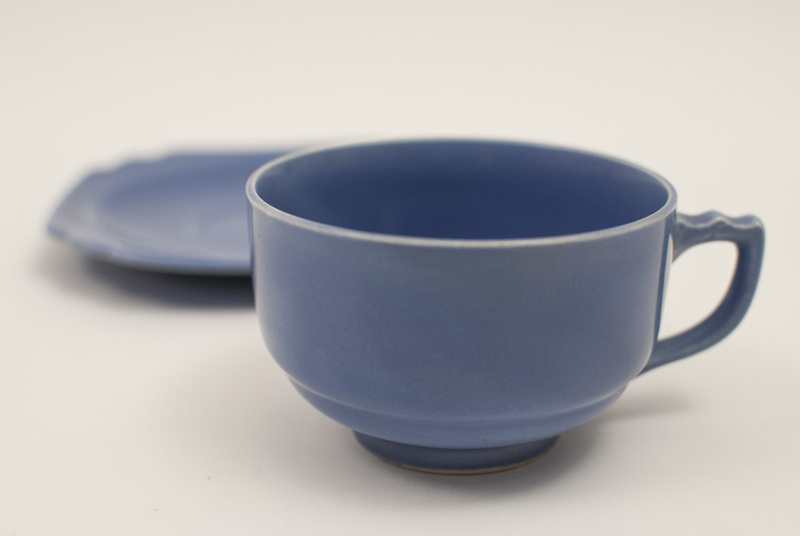 The handle would have been cast separately and applied the the body of the cup by handiwork. 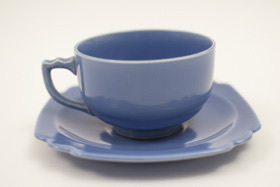 A delightful two piece ensemble that harkens to the art deco era. 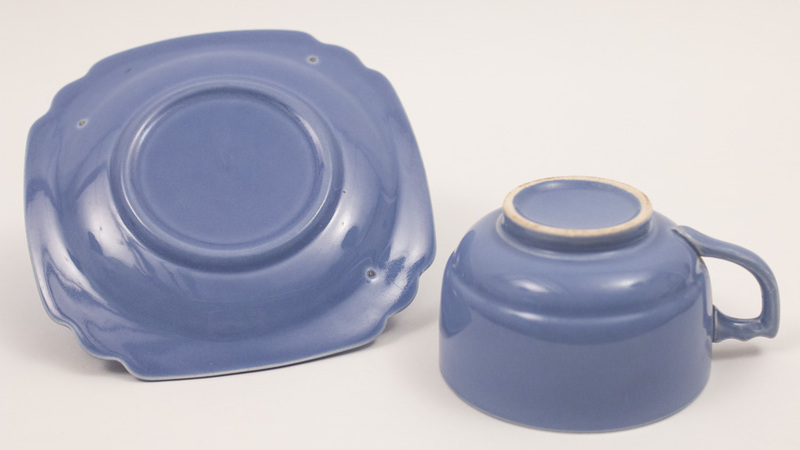 This example in the original mauve glaze is without damage or use.